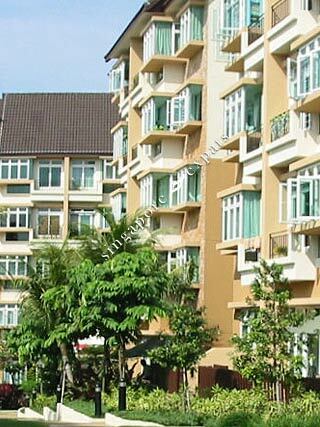 Forest Hills is a resort condominium situated at Transit Road off Sembawang Road. It takes about 10 minutes bus ride to Khatib MRT Station which is located at Yishun. Amenities and shops can be found at the shophouses along Transit Road and Sembawang Road. Public transport are easily accessible along Sembawang Road. Forest Hills is about 15 minutes drive to the American School. Many amenities can be found in the Yishun Town Centre which consists of library, supermarkets, hawker centre, fast food restaurants, polyclinic, cinema and many other shops. Singapore Island Country Club, Orchid Country Club, The Golf Academy are also within short driving distance. Forest Hills is accessible via the nearby Kranji Expressway (KJE) and Central Expressway (CTE). Using the CTE, it takes about 20 minutes to drive to the city centre.